On arrival at Trivandrum on your Kerala beach vacation, the travel executives transfer you to Kovalam Beach where you find budget hotels to suit your expenses. Rest of the day is free to relax on the beach. Overnight stay at Kovalam and enjoy your Kerala Beach Vacation. Overnight at the Kovalam beach resort or hotel where you also have an option to enjoy an Ayurvedic massage to make your Kerala Beach vacation a memorable experience. Take a morning drive to Kollam, the gateway of Kerala backwaters. Here you will stay in a backwater resort on the bank of Ashtamudi Lake, one of the most picturesque lakes in Kerala. After the morning breakfast drive to Alleppey. 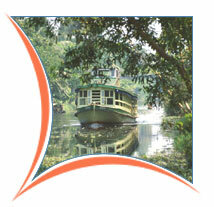 Embark for the houseboat cruise to Kumarakom. Cruise through the beautiful villages and lush paddy fields. Overnight stay at the Houseboat. In the morning disembark the boat at Kumarakom and drive to 4hrs up into the hills to Periyar (Thekkady), one of the most fascinating wildlife sanctuaries in India, renowned for the herds of elephants and scenic beauty. Overnight stay at Periyar. In the morning go for boat cruise in the lake to watch wild animals and birds. An afternoon visit to the spice plantations like cardamom, pepper, tea etc gives you sense of fulfillement of your tour. Overnight stay at Periyar. Morning drive 6 hrs to Cochin, the commercial capital of Kerala. Afternoon go for boat cruise to visit the nearby Islands that are equally captivating. 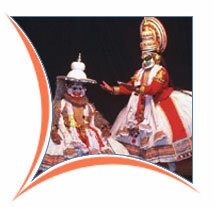 In the evening watch a performance of Kathakali Dance. Overnight stay at Cochin and enjoy a great Kerala Beach Vacation. In the last leg of your Kerala Beach Vacation, enjoy a tour of the historic city of Cochin. In the morning, visit the historic Fort Cochin, also including the enchanting Chinese fishing nets, St Francis Church, Mattancherry Palace with it's well preserved vegetable dye murals and the Jewish Synagogue, still in use today. After lunch, depart from the Airport or Railway station for your onward journey or way back home.